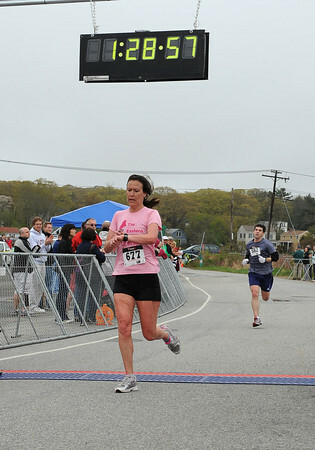 Gloucester: Gloucester's Kitie Taormina crosses the finish in the Twin Lights Half Marathon placing second for the woman with a time of 1:28:57 Sunday morning. Katie is Lacey Alves tranning partner who placed first. Desi Smith/Gloucester Daily Times.